Michael Slack specializes in the most challenging and demanding areas of personal injury law. These include aviation law, mass tort litigation, and product liability cases against major U.S. corporations. He is board certified in Personal Injury Trial Law by the Texas Board of Legal Specialization and is a Board Certified Civil Trial Advocate, as certified by the National Board of Trial Advocacy. In recognition of his excellence in representing clients, he has been selected by his peers to the The Best Lawyers in America directory for the past 10 years. In 2002, the American Institute of Aeronautics and Astronautics (AIAA) announced that Slack had been elected to the grade of Associate Fellow. He is one of a handful of attorneys elected to this grade by AIAA's peer-review committee. AIAA is the world's largest professional society devoted to engineering and science in aviation, space and defense. Slack's aviation law experience includes 22 years of complex litigation arising from air crashes, including successful litigation against major commercial airlines. In addition, he has successfully obtained recoveries in numerous product liability cases against major aircraft and component manufacturers. For more about Slack's aviation law expertise, please see our Aviation Law page. Beyond his aviation law practice, Slack is known for his successful representation of people injured by pharmaceutical and medical products. Between 1993 and 1996, he obtained compensation for more than 30 plaintiffs seriously harmed by tainted L-Tryptophan nutritional supplements. He also served on the National Plaintiff's Steering Committee for Norplant litigation, in which he represented hundreds of women, and negotiated approximately 60 cases involving patients who received faulty hip implants manufactured by Sulzer Orthopedics. Slack is widely respected for his public sector work on behalf of consumer rights. 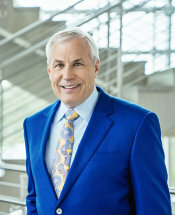 He was the 1997 President of the Texas Trial Lawyers Association (TTLA), and serves on the Board of Directors for TTLA. He has worked actively with the Texas Legislature through TTLA to protect individual legal and consumer rights. Slack is a member of many prestigious legal associations and national, state and county bar associations. In addition, he has served as chair of the Aviation Law Section for the Association of Trial Lawyers of America. He is a member of the Lawyer-Pilots Bar Association, the American Institute of Aeronautics and Astronautics and the American Astronautical Society. After receiving his law degree from the University of Texas at Austin, Slack was admitted to the bar in 1983. Prior to his legal career, he was senior aerospace engineer with the National Aeronautics and Space Administration (NASA) in Houston, working from 1974 to 1980 on the Apollo-Soyuz and Space Shuttle programs. He received special commendations from NASA for his contributions to those projects. Today, he remains licensed as a professional engineer and as a pilot.